Today Motorola has launched Moto X’s Successor the Moto X4 in India. Moto India has invited us to cover the launch event which happened in New Delhi. So the phone has finally launched and its time for a lookup. Is Moto X4 worth considering? First of All, let’s talk about the specifications of Moto X4. Display – 5.2 inches Full HD (1920*1080p) IPS Display. Storage – 32 GB and 64GB Internal Storage with a micro SD card slot, upto 256GB card supported. As you all are aware of the specifications by now. Let’s come to the Initial impressions part. The best thing I noticed about Moto X4 is the build Quality. In- hand feel is awesome too. Holding the device it feels very lightweight and well balanced. 5.2 inch Screen Size is the ideal size for smaller hands. I can easily use the device with the single hand. I can say Build Quality is the strong point for Moto X4. Moto X4 is having a 5.2 inch Full HD display. Screen Quality is good for an IPS LCD Panel. Colours and Viewing Angles are also good. There is no colour shifting when tilted. Didn’t got the chance to check the display under sunlight. With with 30-45 min of usage, I can say display quality is good. Moto X4 got dual camera system just like LG G6 or V30. One is the normal and other is the wide angle lens. It also has some additional camera features like depth effect, Black and white effect. This implementation is rare due to Apple’s adoption for a normal and a telephoto lens which was seen with iPhone 7 Plus and other OEM’s follow the similar route. One thing I simply hate is their camera App. Just like G5s plus there is some shutter lag. Hope Moto can fix in near future update as it annoys the user to take a shot as it is the camera-centric phone and a phone to flaunt with. I can’t comment right now about the camera performance as it needs to be tested thoroughly. Snapdragon 630 is powering Moto X4, clocked @ 2.2 GHz. The device feels snapper as it is close to Stock Android with some Moto gestures. 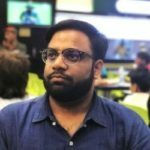 Moto India decided to launch with their own UI instead of going for Android One which is currently being offered in the US. They might launch Android One variant in the future ( no sign as of today). With Slight usage, didn’t face any UI lag. There is some bloatware installed in the demo units not sure if some 3rd party apps come with the retail unit or not. It will be interesting to see how it handles the real performance. I personally find Motorola’s design boring. Don’t get me wrong the phone looks stunning. As it is a glass back, the phone feels premium to hold in the hand but from front and back, the design looks same as previous moto phones. I wouldn’t have mind if they came with 18:9 aspect ratio. It seems more of a 2017 thing. They have used glass back and could have gone extra miles ahead and provide wireless charging which mid-rangers don’t have. I love Moto X4 for its water-resistant capabilities. At this price, we generally don’t see the IP68 rating. You can dip into water for 30 min upto 1.5 feet. But I don’t recommend this due to Motorola doesn’t provide any warranty if the phone gets water damaged. So don’t play with your phone. The best thing I like about Moto X4 is pricing. Moto India has done an excellent job in the pricing department. Moto has priced X4 at $399 in the US ( approx 27,000) which has 3GB RAM. Many readers/Buyers thinking buying a 630 chip phone at Rs 21,000 seems overpriced? My Answer is NO. The overall package you are getting is very good and the brand has the global presence and good customer service. The phone goes on sale at midnight. It is exclusive to Flipkart. There are some good cashback offers, exchange offers and No- Cost EMI Providing you best buy links down below. Views are Personal. This is NOT SPONSORED BY Motorola.